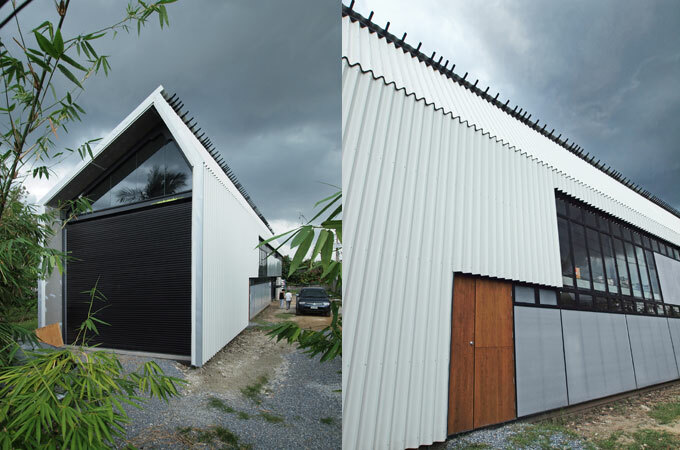 Baan Sai Ma (Sai Ma House) is our home/studio/workshop in Nonthaburi, 20 minutes north of Bangkok. 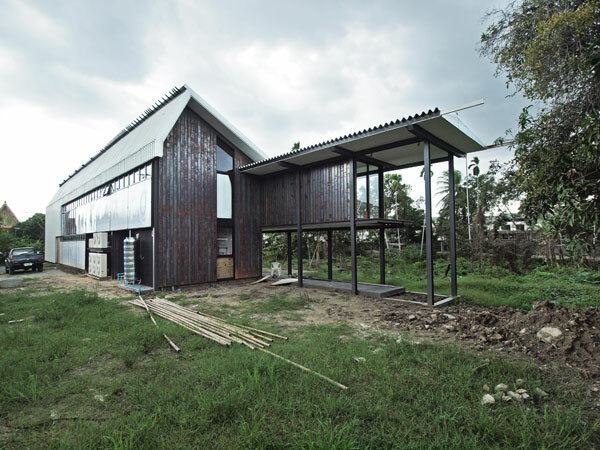 Currently the building is divided equally between home and practice, but it was designed to be a hyper-flexible structure, able to accommodate the future rhythms of our lives and studio practice. For us, an important component in sustainable architecture is planning for future use and change. 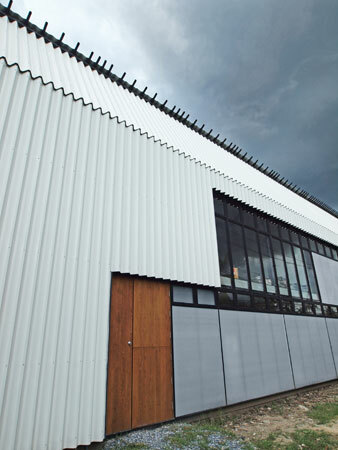 The overall form of this building is simple; its carefully-planned details allow for spaces within the building to be reconfigured as needed.